This week it has been lovely to enjoy the sunshine. It finally feels like winter has gone. This week has been a quick week thanks to the bank holiday Monday, it has flown by. This week I finally got my hotel booked for BritMums live next month which has started the excitement for the conference. Last year was my first year attending and I loved it. I am hoping that this year will be just as good, if not better! This week has seen us watch the Tour de Yorkshire, a meal out, lots of yummy food and some pretty new nails! The hubby loves cycling so when we found out that the Tour de Yorkshire was having a finishing line in Doncaster we planned to visit. We managed to avoid most of the rain and hail stones and watched the riders head up to the finishing stretch. The kids loved waiting for the bikes and watching the police motorbikes going past. It was fun to see, albeit quick, but something we might not see again! We were even able to spot ourselves on the television highlights in the evening. Sunday was a day in the garden for the hubby and time in the kitchen for me. This is a meal which I am planning to write about. 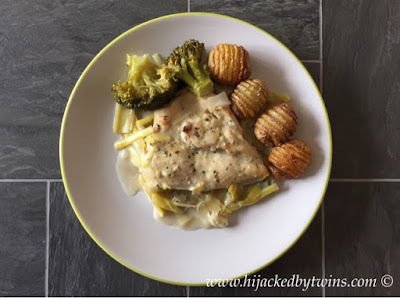 Instead of a regular roast I made chicken breasts on a bed of leeks in a white wine sauce. On Monday we decided to go out for a meal as it was a bank holiday. We went to our local Frankie and Benny's which is always a hit with the kids (and us adults). 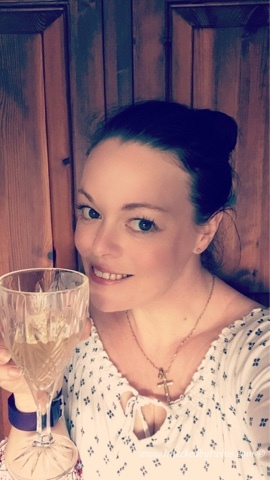 As it was a bank holiday I even enjoyed a glass of wine while I got ready! Back to school and back to the routine. Since the children have gone back to school after the Easter holidays I have been walking regularly so it was good to get out with the dogs and the sun shining! 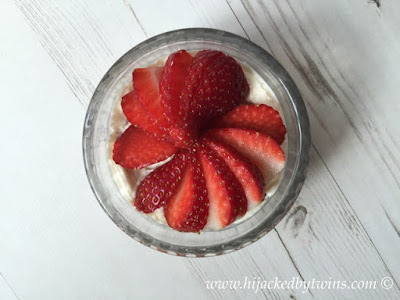 My pictures on Tuesday were of my No Bake Strawberry Cheesecake which was a huge success! Wednesday was yet another glorious day! I have started setting myself the goal of reaching 6,000 steps before I sit down and start blogging. This has been going really well and getting me out a lot more in the garden. 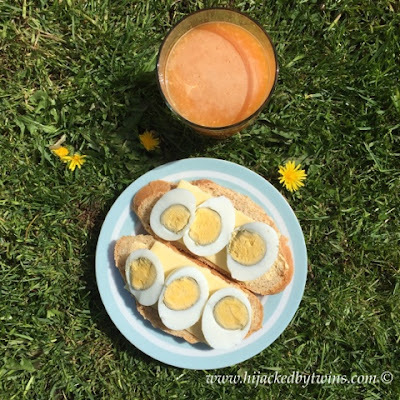 As it was such a lovely day I even had my brunch outside! Thursday was cinch de Mayo even though we are not Mexican it is good to enjoy other festivities that can involve food! 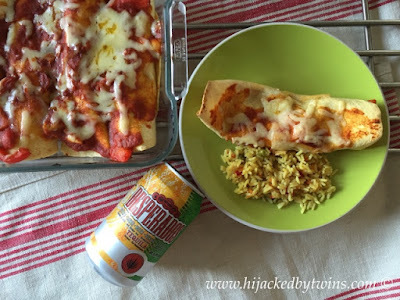 So we got into the Mexican spirit by having chicken enchiladas and Desperados beer for us grown ups! Friday was all about pretty nails! I don't know about you but I am awful at painting my nails and find that as my hands are in and out of water all day they chip quickly. 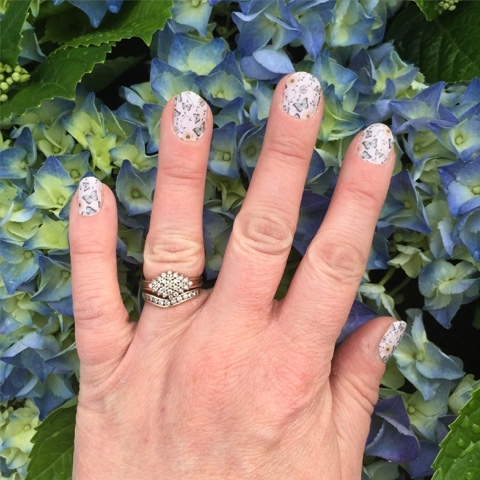 My school friend has recently started selling Jamberry nail wraps and I love them! For once I can have pretty nails and do them at home myself. I am planning to have an online party so if anyone wants to know more just let me know! hehehe! Well done for spotting yourselves on the TV...It sounds like you had a lot of fun! All the food looks delicious! The chicken breasts sound interesting! Loving the nails. Fun to be able to spot yourself on TV. Hi Kirsty, your food photos are making ame peckish even though I've not eaten. The strawberry cheesecake and eggs and cheese on bread are the ones that are doing it. Love cheesecake, really love eggs! Not sitting down and blogging until you've walked 6000 steps sounds like a brilliant idea, I'd end up walking in circles just to get the steps in! Gosh that must have been some spotting of yourself on tv. The chicken and leeks looks tasty. What a great way to do your 6000 steps making sure you do them before you start any thing else. You are making me hungry with those food photos. Love the nails! And, that cheesecake looks good :) I like your idea for a step target before you start blogging, might have to try that! 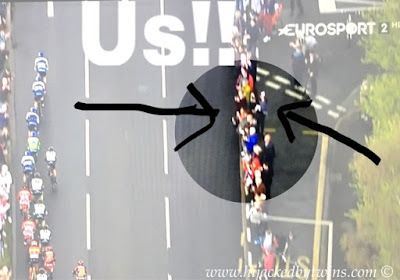 how on earth did you spot yourselves on the TV? i found it hard to recognise you!